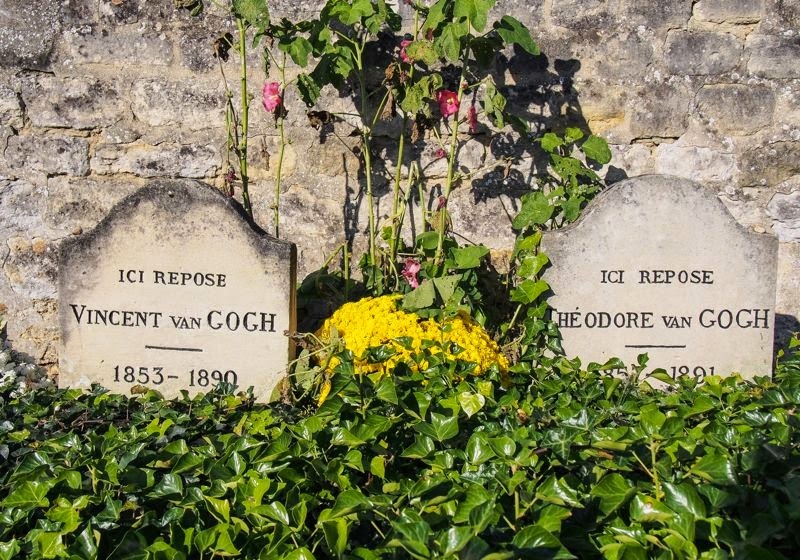 The grave of Vincent van Gogh- and the village where he spent the last weeks of his life. The painter equally famous for his paintings and his ear continues to draw large crowds in various museums in Paris and Amsterdam. But few people know the painter died in a small village within arm's reach from the French capital. And if you liked his paintings, you can still see the landscape and village, realising little has changed since Van Gogh saw them 125 years ago. Auvers-sur-Oise, about 30km North-West of Paris proper. Map. EVERY YEAR MILLIONS of people visit the Musee Orsay in Paris and the Van Gogh Museum in Amsterdam to see what are some of the most famous paintings in the world, painted by one of the most famous painters in the world. Most of those people associate Van Gogh with the South of France: places like Arles, where he developed his unique style that seems to combine hallucinations with artistic vision. 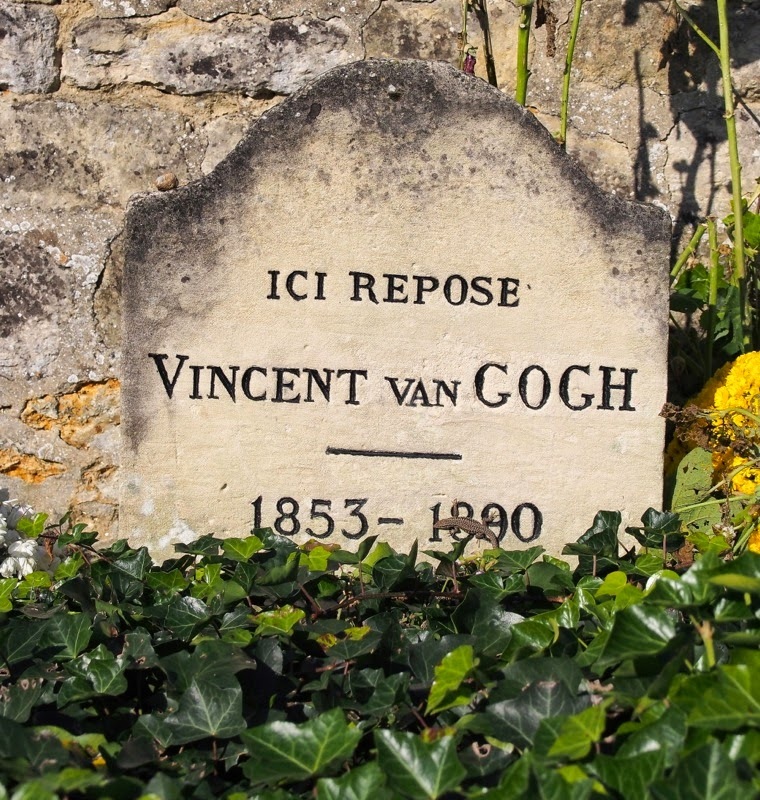 But few people know that Van Gogh actually died close to Paris, in a small village where he hoped (and failed) to find a cure for the bouts of mental illness that were tormenting him. Much of Auvers is still picture-perfect cute. 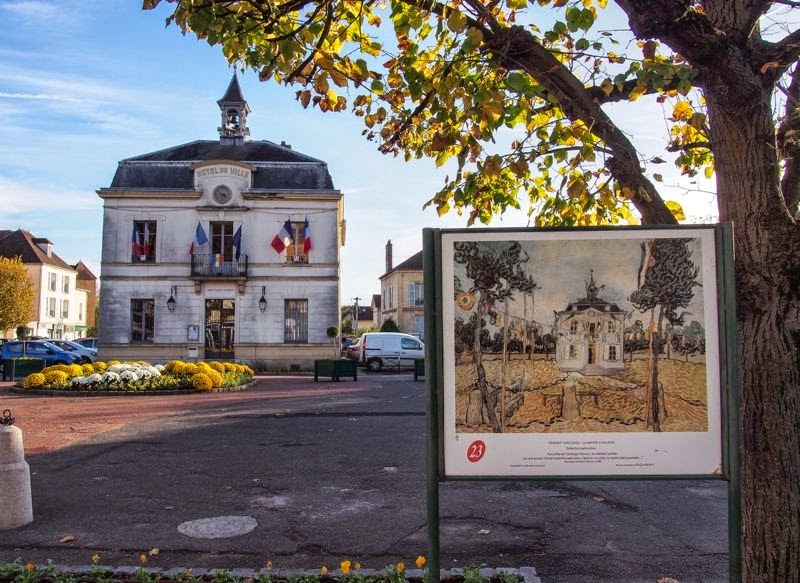 Van Gogh arrived in Auvers-sur-Oise in May 1890, and spent the last 70 days of his life here. In some ways, he got his groove back: he started churning out paintings at a rate of more than one a day, trying to drown his disease and anxiety in a whirlpool of colour and productivity. But on 27 July 1890 he was fatally wounded by a gun shot, either self-inflicted or a case of accidental homicide. Vincent's brother, Theo, who had been supporting his brother both emotionally and financially, rushed in from Paris but Vincent died in his arms. 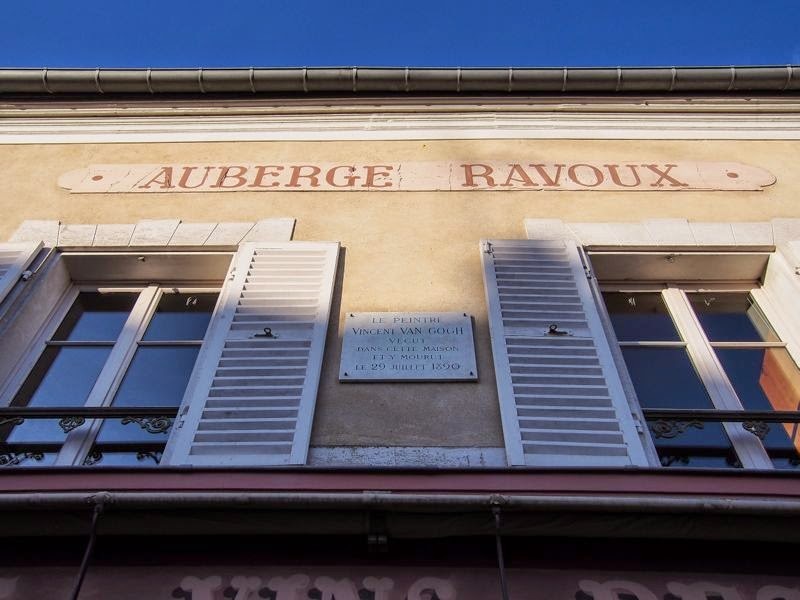 Auberge Ravoux, where Van Gogh kicked the proverbial bucket. Theo was heavily impacted by his brother's death and died six months later of syphilis (an odd way to go for a happily married man with a young child but in the words of Jim Morrison, that other artist-who-died-too-young, 'People are strange'.) 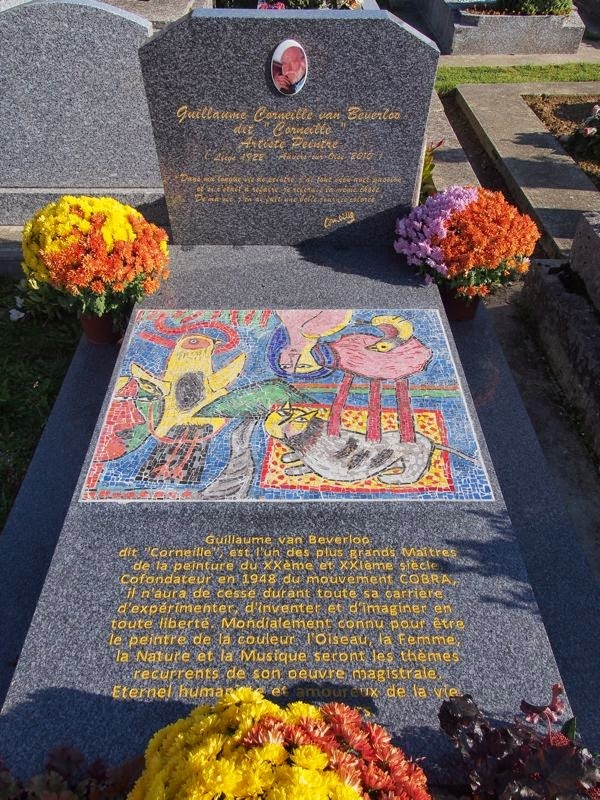 Theo died in the Netherlands but 25 years later his remains were transferred to Auvers-sur-Oise, where the brothers now lie peacefully side by side, reunited for ever. 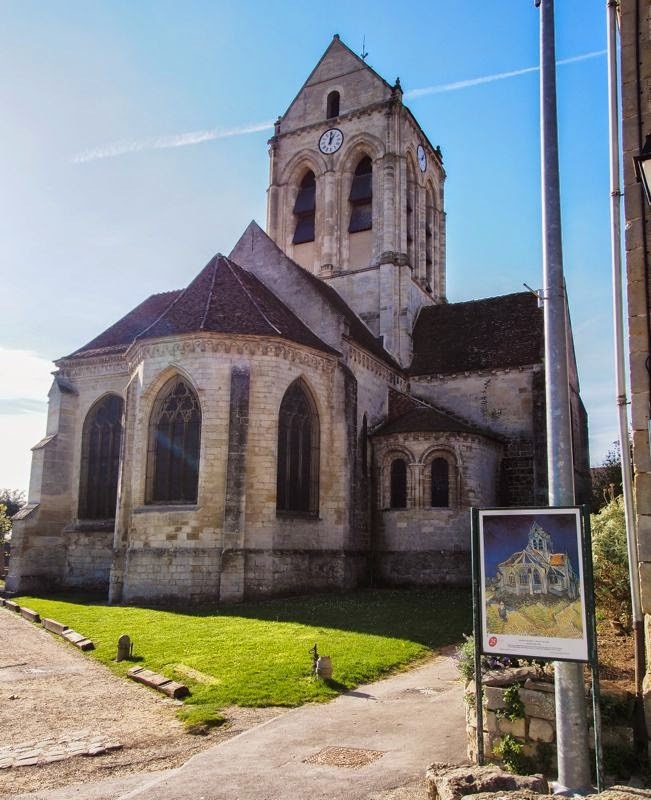 The village of Auvers-sur-Oise offers a chance to see some of the most famous paintings in the world in the flesh: the church of Auvers, the wheatfields, places instantly familiar from Van Gogh's paintings that retain their charm, 125 years later. 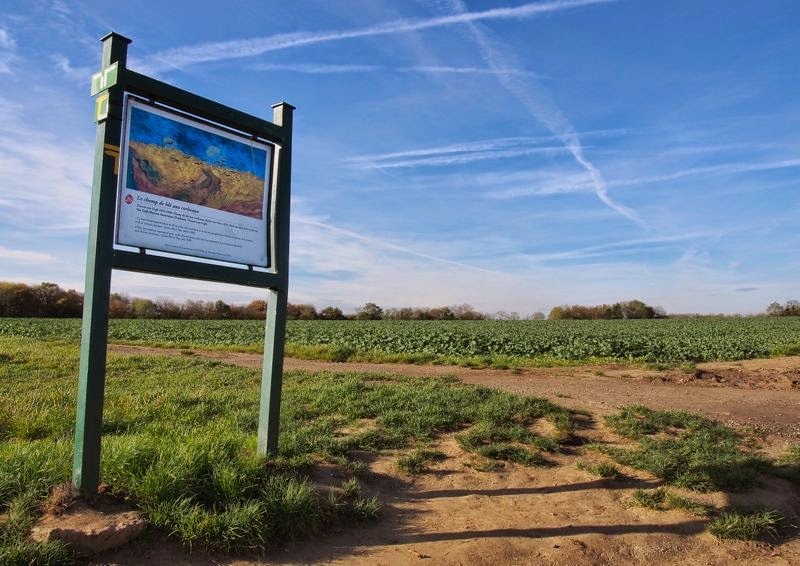 The painting is in Amsterdam, the landscape is still here. As seen in the Orsay. Auvers has attracted a number of painters over the years, including household names like Cezanne and Pisarro. The Dutch COBRA artist Corneille spent his last years in the village and is buried in a grave at spitting distance from the Van Gogh brothers. Corneille rubs shoulders with his more famous colleague. Auvers can be reached by car within 30-40 minutes from Paris or by SNCF-Transilien local train from Paris Gare du Nord in about an hour. On a recent river cruise, I visited Arles and the hospital at St-Remy, but we were never told where Van Gogh was buried. I wonder, how near is Auvers to the town or hospital? I did not see the sites reproduced here, but there are similarly-sized and placed prints of his paintings on the lovely grounds of the still-practicing hospital. Hi Chris, as explained in the first few paragraphs, Auvers is about an hour North of Paris. 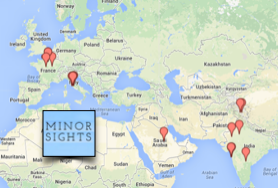 St Remy and Arles are in Provence, almost the opposite side of France. Van Gogh came to Auvers to be closer to Theo and for the treatment he was hoping to obtain from Dr Gachet. 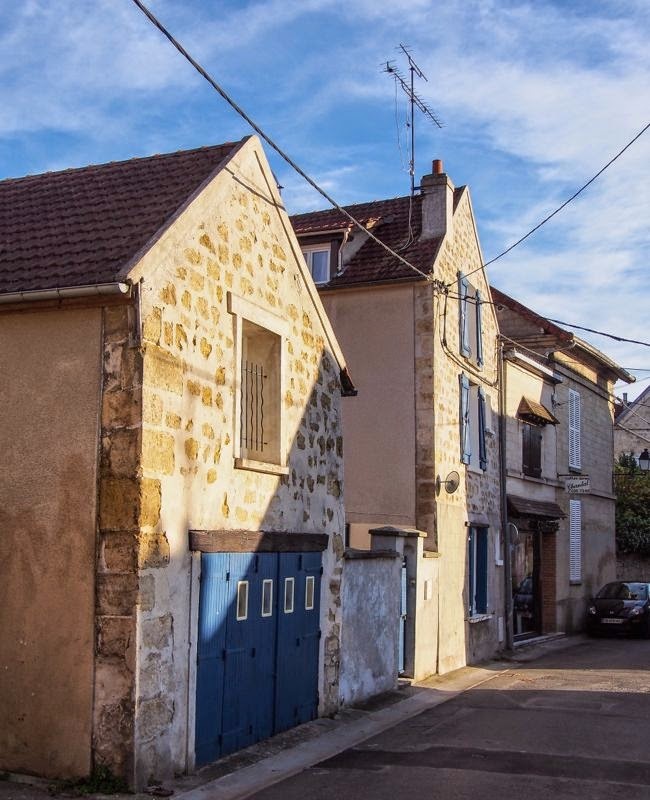 Are you planning to visit Auvers?